Short on time? 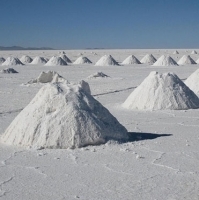 Let lithium sellers contact you. Lithium Nitrate : Grade: Tech Content: 96% Properties: Powder/ Crystal MOQ: 1FCL Packing: 25kg/bag Attention: Export Tariff: Views : 106 Molecular formula : LiNO3 Molecular weight : 68.946 Physicochemical Properties: It is a colorless hexagonal crystal or white powder. Specific Density: 2.38,Melting Point: 253 C. It will decompose at temperature of 600 C. The lithium nitrate easily dissolves in water, ethanol, aqueous ammonia and lots of organic solvents. It is subject to deliquescence and is apt to form eutectic mixture with other alkali metal nitrates. Applications and Usages: mainly used as aqueous ammonia stabilizer in refrigeration facility, rocket propellant, oxidizer for fireworks, etching agent for glass, static inhibitors, and as component of molten salts in metallurgical industry. 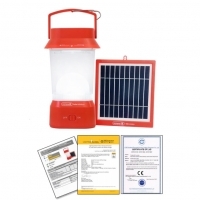 Moreover, it is also employed in the manufacture of fluorophor materials. Packing: 25kg weaving bag with plastic liner or according to the requirements of customers. Lithium batteries, lithium iron phosphate batteries, E bus, E bus batteries, EV batteries, lithium batteries for telecom. 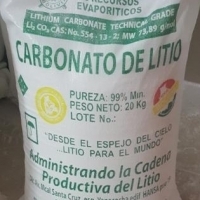 Lithium Carbonate: Li2CO3 Grade Standard: Electron Grade, Industrial Grade Purity: 99% Appearance: white crystal powder Application: industry Packaging & Delivery: Packaging Details: 25kgs net per bag inner with PE bag Property: Molecular formula :Li2CO3 Molecular weight :73.89 Density:2.11g/cm3(20°C) Appearance :white powder Applications: A raw material of lithium compounds and lithium metal, widely used in aluminium production, atomic energy, space-flight, military, refrigeration, jointing, lithium alloy, lithium battery, nuclear reactor, pharmaceutical and continuous casting. Specification: Content 99%min. Na2O 0.2%max. Fe2O3 0.01%max. CaO 0.05%max. Cl 0.05%max. SO4 0.35%max. H2O 0.6%max. Insoluble in HCL 0.015%max. ASK your quotation and receive your competitive offer! Lithium sulfate is a white inorganic salt with the formula Li2SO4. It is the lithium salt of sulfuric acid.Lithium sulfate is used to treat bipolar disorder (see lithium pharmacology). 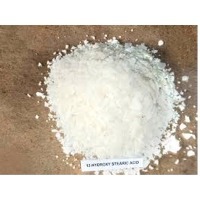 Lithium stearate is a white soft solid, prepared by the reaction of lithium hydroxide and steric acid. Lithium bromide, or LiBr, is a chemical compound of lithium and bromine. Its extreme hygroscopic character makes LiBr useful as a desiccant in certain air conditioning systems.